This gearmotor is a brushed DC motor with a metal gearbox that has the power to deliver both speed and torque without all the noise. 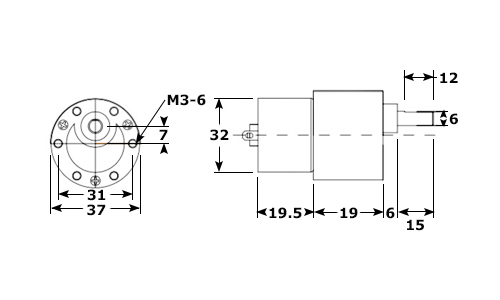 These units have a 6mm diameter D-shaped output shaft. DC Motor 25mm 3-6V This is the 140-size DC motor. It has a recommended operating voltage of 3 – 6 V. The output shaft has a diameter of 2 mm. This motor works well with many of our lower-power motor ..
Rocker Switch 240V 15A - Red The Rocker Switch (KCD3-101N) - on off - is a medium size rocker switch which offers a high switching current in a compact design. It is a snap-in mounted rocker switch w..
Rocker Switch 240V 15A - Blue The Rocker Switch (KCD3-101N) - on off - is a medium size rocker switch which offers a high switching current in a compact design. It is a snap-in mounted rocker switch ..
High Torque Motor 12V 640RPM This gearmotor is a brushed DC motor with a metal gearbox that has the power to deliver both speed and torque without all the noise. 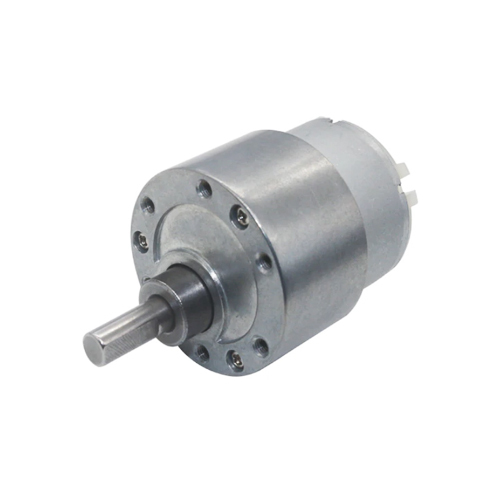 These units have a 6mm diameter D-sha..
High Torque Motor 12V 340RPM This gearmotor is a brushed DC motor with a metal gearbox that has the power to deliver both speed and torque without all the noise. 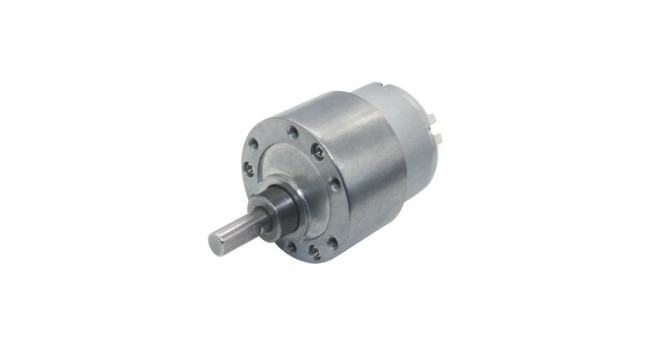 These units have a 6mm diameter D-sha..
High Torque Motor 12V 66RPM This gearmotor is a brushed DC motor with a metal gearbox that has the power to deliver both speed and torque without all the noise. These units have a 6mm diameter D-shap..
High Torque Motor 12V 24RPM This gearmotor is a brushed DC motor with a metal gearbox that has the power to deliver both speed and torque without all the noise. 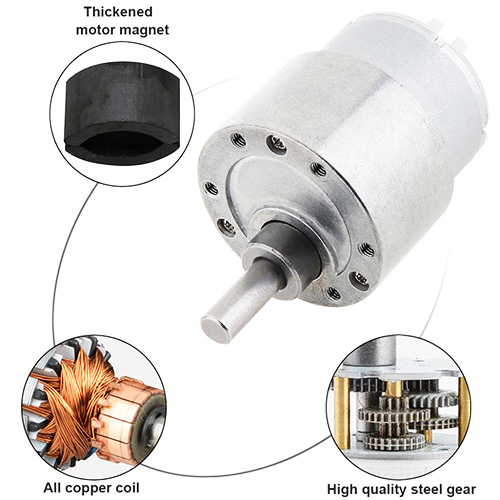 These units have a 6mm diameter D-shap..
High Torque Motor 12V 100RPM This gearmotor is a brushed DC motor with a metal gearbox that has the power to deliver both speed and torque without all the noise. These units have a 6mm diameter D-sha..
High Torque Motor 12V 8RPM This gearmotor is a brushed DC motor with a metal gearbox that has the power to deliver both speed and torque without all the noise. These units have a 6mm diameter D-shape..
Optical Sensor RX/TX (4 PACK) The TCRT5000L is a reflective sensor which includes an infrared emitter and phototransistor in a leaded package which blocks visible light. Quick Spec Detecto..
Protoboard with Power Rails The Protoboard 700 makes it very easy to take your design from breadboard to prototype. The protoboard 700 has the same layout as a full size breadboard. ..
Power Supply 12V 2A - Compatible with Arduino® UNO This lightweight 12V DC power adapter can supply a load current of up to 2A. This power supply is compatible with UNO and MEGA. Quick Spec .. The TCRT500L is a reflective sensor which includes an infrared emitter and phototransistor in a leaded package which blocks visible light. Quick Spec Detector type: Phototransistor Dimensio..